Arabs Set Fire to Bat Ayin Fields Nearly Burning Israel365 Forest - Breaking Israel News | Latest News. Biblical Perspective. 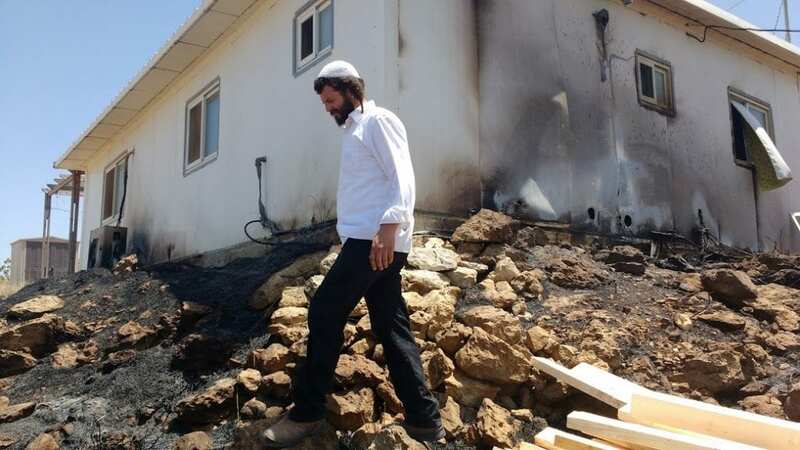 On Wednesday afternoon residents of the Jewish communities of Bat Ayin and Gevaot were evacuated after Palestinians set fire to nearby fields. A number of houses were damaged by the fires and four people were treated for smoke inhalation. Four firefighting airplanes were called to help firemen. Bat Ayin is a religious community in Gush Etzion, halfway between Jerusalem and Hebron, established in 1989. The name of the town means “pupil of the eye” and is from a verse in the Bible. 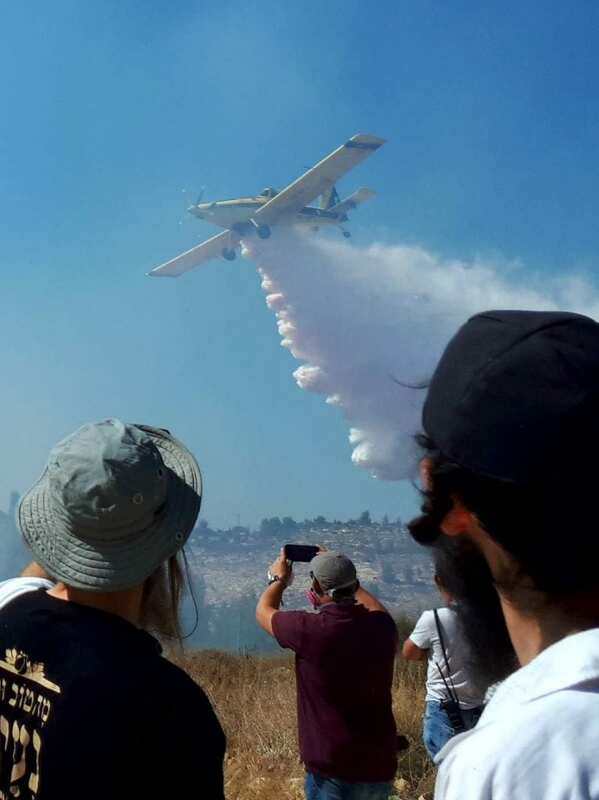 Bat Ayin has frequently been targeted by arson attacks and this attack is especially difficult coming at a time when incendiary kites and balloons sent from Gaza have burned thousands of acres in southern Israel. Amnon Suckerberg was at home with his five children when smoke enveloped their house. He immediately called the police and security but they were delayed due to difficult access routes to the area. Suckerberg and his neighbors tried to extinguish the fire themselves but to no avail. 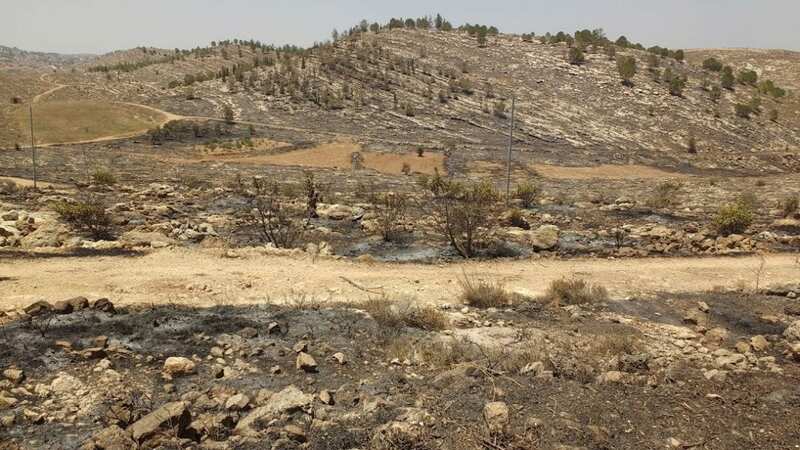 A bitter tragedy was narrowly averted in this attack as the flames came very close to several hundred trees recently planted by Israel 365 and its supporters. Shlomo Vile, the PPC director for Israel365, is a resident Bat Ayin and also took part in planting the trees. “If the wind had shifted just a tiny bit, that would have been the end of them,” Vile told Breaking Israel News. Vile explained the importance of the trees to the community.